Getting your hair coloured can take a chunk out of your wallet and eat away at your free time so it’s no wonder you want the colour to last as long as possible. Many of you will be attending music festivals this Summer and if you&#8217;ve been before you&#8217;ll know they sometimes are not the best friend for your hair colour. All that camping, changing weather and dancing to your favorite acts can take its toll so here are a few helpful tips on how to stop the fade! 1. Deep condition your hair several days before going to the salon. The better conditioned your hair is, the easier the colour will take and the longer it will last. 2. Don’t wash your hair right before you get it coloured. This is to allow the natural oils to build up so it can help grab onto the colour better. The natural oils also help to protect your scalp from the chemicals in the dye. 3. After you have your hair coloured go as long as you can without shampooing. This gives your hair time to absorb the colour completely. 4. Heat contributes to fading so use your styling tools as little as possible, and remember to use a heat protective spray. 5. Limit or avoid using styling products such as mousses and volumizing sprays as these strip and fade your hair colour. 6. Use colour treated shampoos and conditioners to enhance and maintain your hair colour. 7. Condition your hair regularly as it seals the hair shaft to keep the colour in. We thought we would take a look at the most popular trends in beauty this season…hot off the runway! Again, there’s something for everyone, so ladies it’s time to update your looks and your make up bags. Natural, bold brows are all the rage this season, so pack away your tweezers ladies. Brows can be filled in with a brow pencil to add an extra punch of colour and contouring. For an earthy look, match this with a natural/minimal make-up, or make a statement with brows darker than your natural shade. The minimal look was spotted all over the runway this season. To achieve a natural fresh faced look, apply some concealer, tinted moisturizer that closely matches your skin tone and some peach blush. Keep your eyes untouched with only a smudge of lip conditioner. Nothing can make a bolder statement than a beautiful fresh faced woman. On the other hand a pop of dramatic colour to match the happy mood of Summer can go a long way. This season offers an array of gorgeous tones to help you celebrate the sunshine, such as ocean blue, green, purple and violets. Pack a punch by generously applying the colour to the eyes, while keeping the rest of your skin and lip tones neutral, paired with a chic up-do. From boldly colourful, wine stained to bright orange-red and glossy natural lips, you can achieve a statement look no matter what you choose. There is something for everyone with this trend, depending on how daring you feel, add a pretty pop of red or create a dramatic look by blending some blue tones to achieve the much talked about cool aqua lips. This nostalgic look was a popular look on the catwalk at Fashion Week as always, but this time with an air of elegance and glossiness. This look is made up of several elements – red lips, coppery tones, feline eyes with curled up lashes, and don’t forget the vintage-style hair to match. It has been evident lately that the short look is being fancied by several high profile celebrities. We have seen Beyonce go for the Sinead O&#8217;Connor style shave, Rihanna choosing the teenage boy look and of course a certain former Disney Star selecting a rather rebellious look in her new music video. Despite this somewhat catching trend, the majority of us have chosen to keep the long look and want to make the most out of it. Have your long hair looking its best by following these simple tips on getting straight hair. Use shampoos and conditioners that are specially formulated for straightening hair. Avoid shampoos that contain alcohol as this will dry out your hair and will make the straightening process harder. Before you blow dry, divide your hair into sections. Never blow dry sections that are more than an inch thick as the hot hair will not be able to pass through. When blow-drying your hair, use a paddle brush pointing the nozzle downwards. If you want poker straight hairstyle use a flat iron to straighten your hair. Pull strands of your hair through the flat iron in a swift continuous motion. Remember to use a heat protective spray as this will protect your hair and give it some extra shine. To keep straight hair looking healthy, avoid split ends by going for regular haircuts. 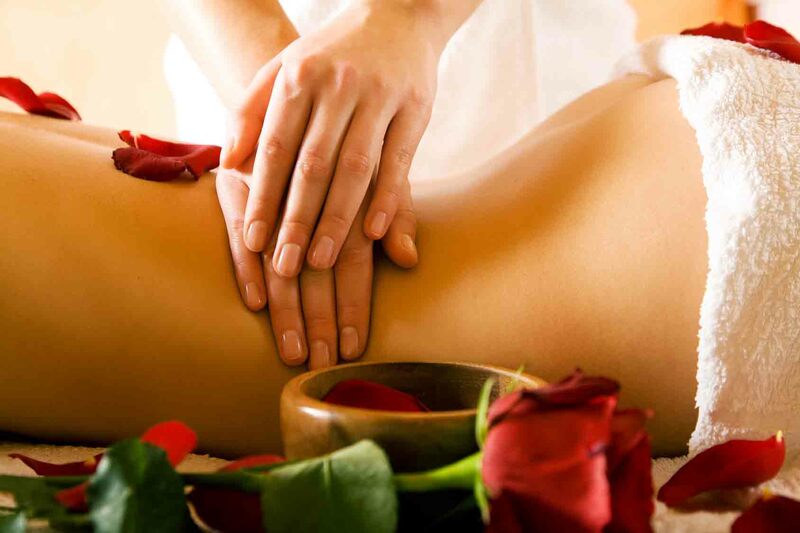 Aromatherapy: This particular massage entails the use of essential oils originating from various plants. These oils are used for their different therapeutic properties. If, for example, you wish to be energised, stress-free, balanced or relaxed, oils with the matching properties are used in massaging your body to achieve this desired result. One of which is lavender. This massage is mostly for those experiencing stress, whether it be physical or emotional. Ayurvedic: This is another unique massage type that is geared towards balancing the energy in your body. It is one of the most effective means of slowing the skin&#8217;s process of aging. Mostly centred on the energy points within your body, this type of massage adopts the use of friction and pressure resulting in complete detoxification of your body. This goes a long way to help your body relax, improve blood circulation and also makes your body tissues more supple. This massage also involves the use of essential oils while also using herbs to cleanse and exfoliate the skin. Shiatsu: Always likened to acupuncture, this is a Japanese form of massage in which the acupuncture meridians are targeted but this time, with expert fingers instead of needles. With Shiatsu massage, you can enjoy constant energy boost, better immune system and overall well being. It is also great for relieving migraine, back pains, incessant weakness and certain digestive issues. With this type of massage, you will always be in high spirits. Hot Stone: With this type of massage, smooth stones are heated and placed on target areas on your body. With the warmth being generated from the stone, the tight muscles in your body are loosened and at the same time the energy centres in your body are balanced. It is especially beneficial to those suffering from muscle tension. These are just a few of the many different types of massage available. In order to make the most of your massage sessions, make sure you are not suffering from any forms of abrasions or skin rashes. It is also advised that you should also not have any dislocations or fractures if you wish to get a massage. The latest must have trend in the fashion and nail art world is leather nails. This nail art can be easily applied just like any normal matte polish. It even looks just like normal polish initially however after the application it dries and embodies a cool leather texture. Another new trend that is sweeping the nail art world is caviar nails. This is created by applying a base coat for your nails and matching the base colour to tiny beads that can be applied to the top of the nail for a fun funky texture to brighten up any outfit. Once a second coat of polish is applied the trick is to either dip or sprinkle the caviar onto the nail surface to reveal the desired design. Hold the beads into place for a few seconds until they have securely dried.This trend is a great tool to use to add a pop of colour to any outfit or used on one nail to excite and add texture to an all over colour. Velvet nails are another bizarre fabric trend that can be applied to nails and it has set the nail art world by storm. The best news is that this trend can be easily created, similar to the caviar nails, by applying a base coat of polish then adding the velvet to the wet nail. The velvet is sprinkled onto the nail over a plastic sheet as the excess velvet can be reused again. The fabric should be patted down so that they stay in place with a brush to promise a lasting finish. Any excess velvet is then removed from your nails to complete this chic and ultra-modern look.